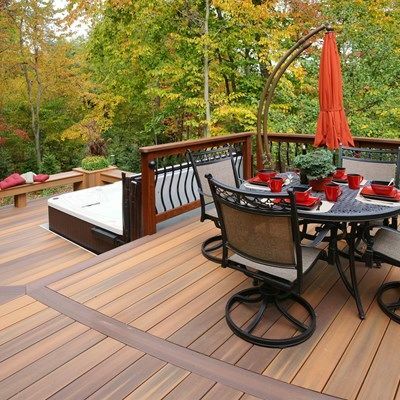 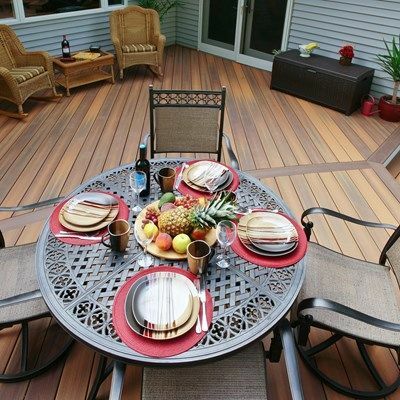 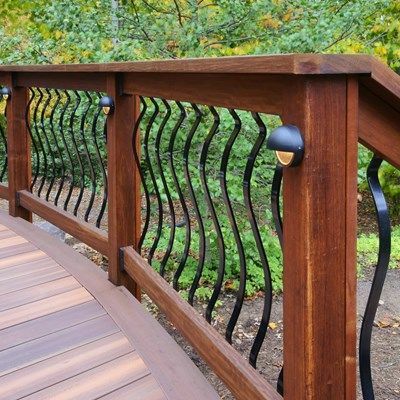 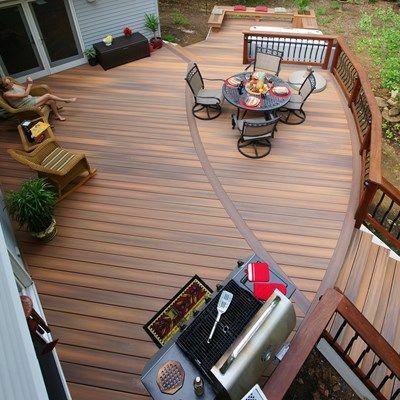 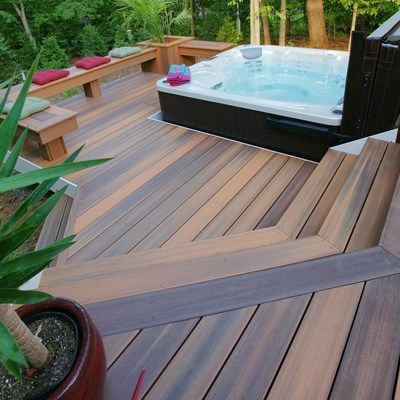 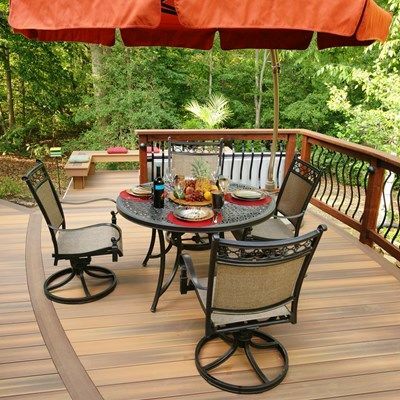 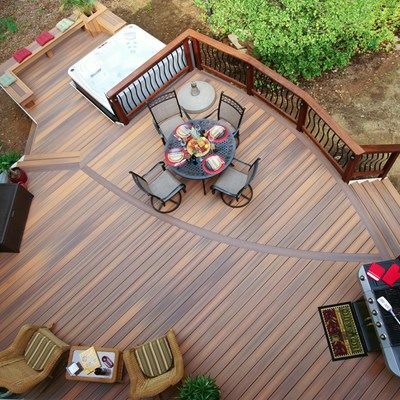 This curved deck is tucked into the woods for lots of privacy. 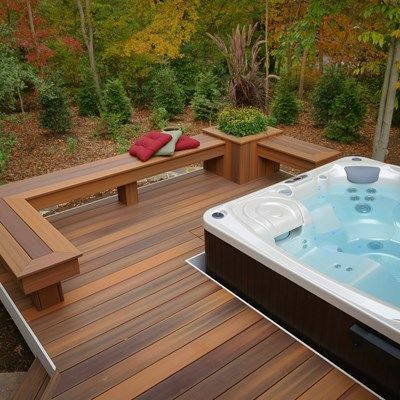 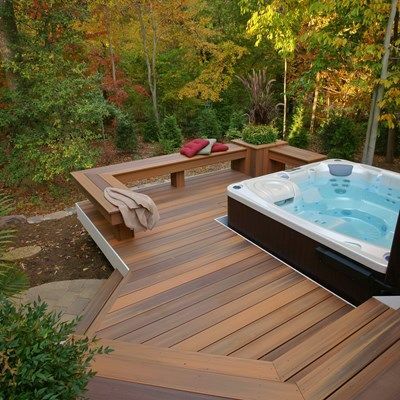 It feature a main deck area and a lower deck dedicated for the hot tub. 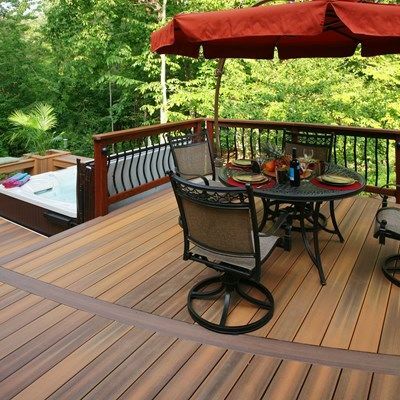 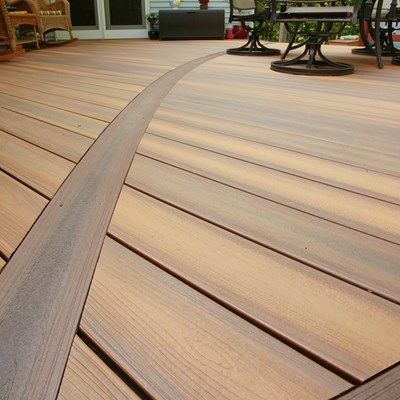 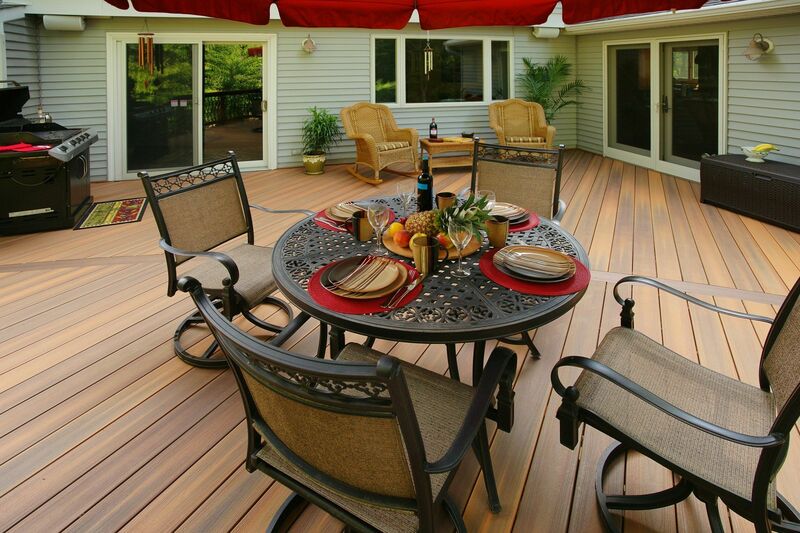 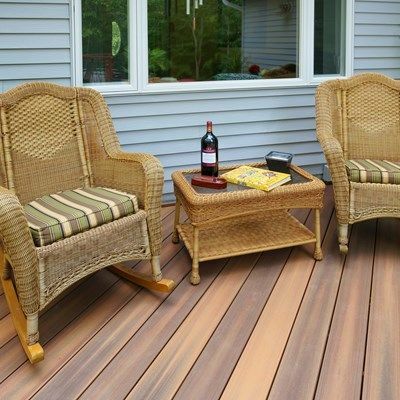 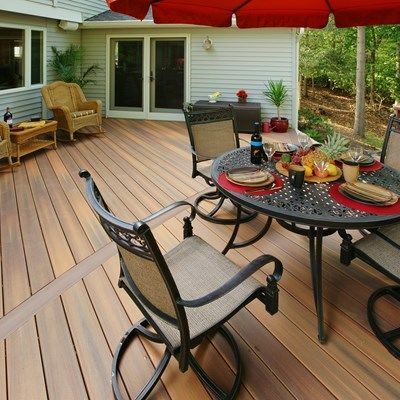 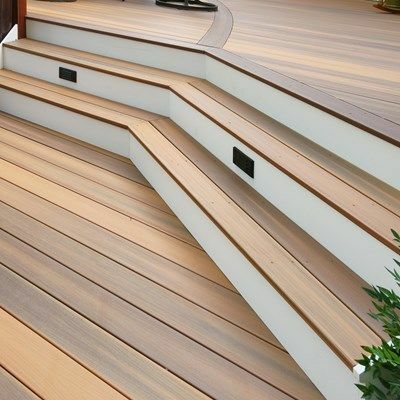 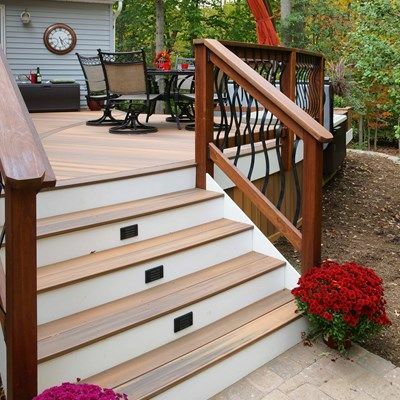 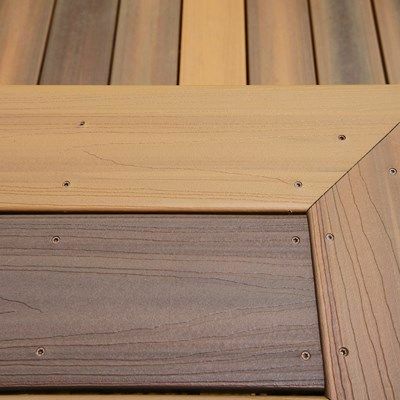 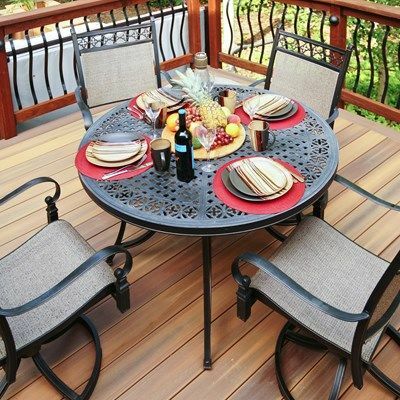 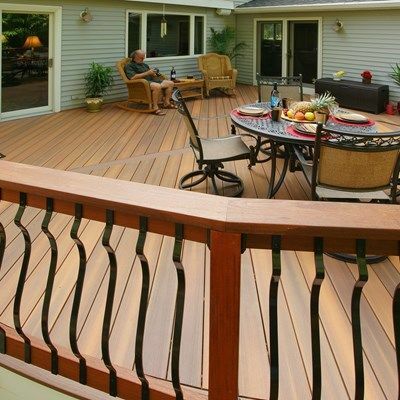 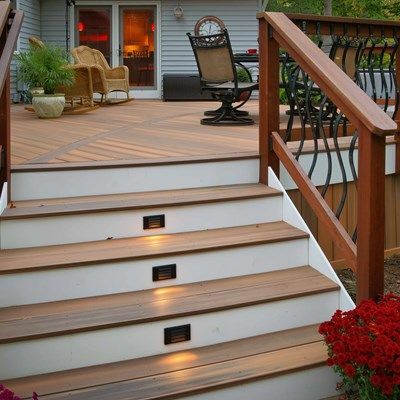 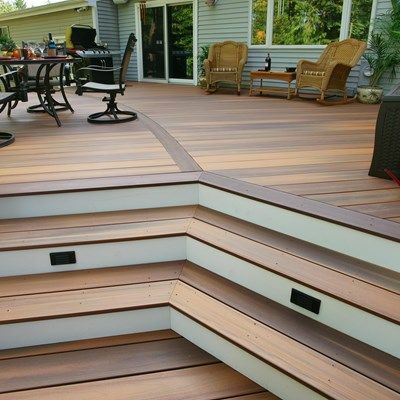 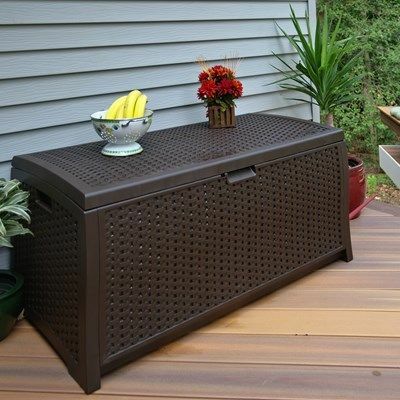 Skirting is around the main deck and here Fiberon composite decking is used run vertical.